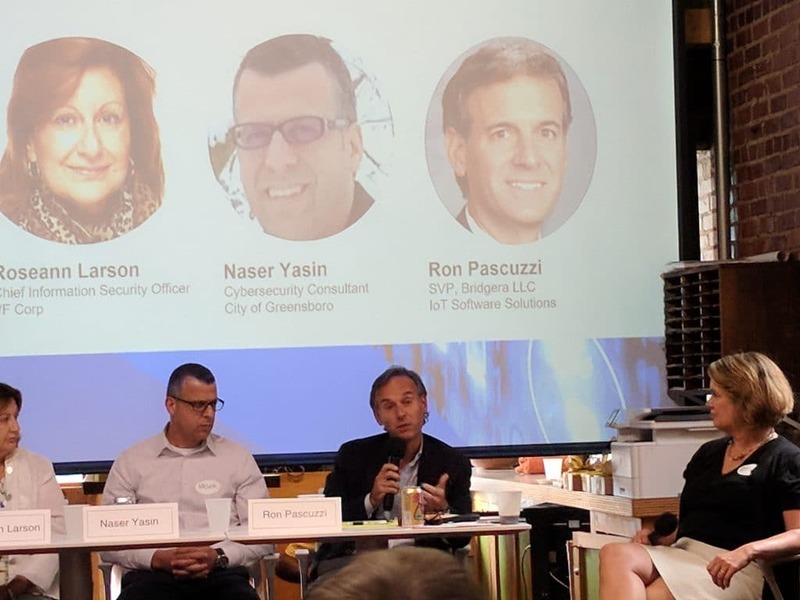 Bridgera SVP Ron Pascuzzi joined a panel of industry experts in Greensboro to host a discussion on cyber security and the opportunities that exist for entrepreneurs. In particular the impact that the Internet of Things will have on the cyber security industry. The discussion began by demystifying cyber security and talking about where the risks are and are not today. It concluded with a discussion on where the opportunities are for entrepreneurs given that the shortage of cyber security professionals seems unlikely to be filled. This event was sponsored by New City Ventures and HQ Greensboro.